Insulin orders only ship Monday through Thursday to ensure temperature controlled delivery. USES: Insulin lispro protamine/insulin lispro is used along with a proper diet and exercise program to control high blood sugar. It is used in people with type 1 (insulin-dependent) or type 2 (non-insulin-dependent) diabetes. This product is a combination of two man-made insulins: intermediate-acting insulin lispro protamine and rapid-acting insulin lispro. This combination starts working faster and lasts for a longer time than regular insulin. Insulin is a natural substance that allows the body to properly use sugar from the diet. It replaces the insulin that your body no longer produces, thereby lowering your blood sugar. Controlling high blood sugar helps prevent kidney damage, blindness, nerve problems, loss of limbs, and sexual function problems. Proper control of diabetes may also lessen your risk of a heart attack or stroke. HOW TO USE: Read the patient information leaflet provided by your pharmacist before you start using this medication and each time you get a refill. If you have any questions, consult your doctor or pharmacist. Follow all package directions for proper use/injection/storage of the particular type of device/insulin you are using. Your health care professional will teach you how to properly inject this medication. If any of the information is unclear, consult your doctor or pharmacist. Do not inject cold insulin because this can be painful. The insulin container you are currently using can be kept at room temperature (see also Storage section). Wash your hands before measuring and injecting insulin. Check the product visually for particles, thickening, or clumps before rolling and turning the container. If any are present, discard that container. To avoid damaging the insulin, do not shake the container. Gently roll and turn it between your palms at least 10 times. If using a cartridge or prefilled syringe, turn it upside down so that the glass ball moves from one end to the other. Gently mix the insulin until it appears evenly white and cloudy. If it does not appear this way, discard it. The dosage is based on your medical condition and response to treatment. Measure each dose carefully, and use exactly as prescribed by your doctor. Even small changes in the amount of insulin may have a large effect on your blood sugar levels. Before injecting each dose, make sure the injection site is clean and dry. Inject this medication under the skin of the abdomen, upper arms, or thighs, usually twice daily, 15 minutes or less before the morning and evening meal or as directed by your doctor. Do not inject into a vein or muscle. Eat promptly after taking this insulin to avoid low blood sugar (see also Side Effects section). Change the location of the injection site daily and do not reuse the same site for two weeks to avoid problem areas under the skin. 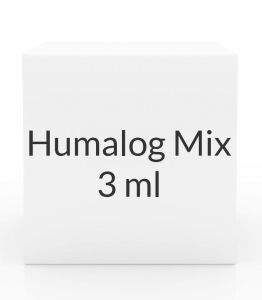 Do not mix this product with other insulins or use it in an insulin pump. Use this medication regularly as directed by your doctor in order to get the most benefit from it. Carefully follow the insulin treatment plan, meal plan, and exercise program your doctor has recommended. Monitor your blood sugar on a regular basis. Keep track of the results, and share them with your doctor. This is very important in order to determine the correct insulin dose. Inform your doctor if your blood sugar measurements are too high or too low. Your dosage may need to be changed. If you are measuring doses from vials, do not reuse needles and syringes. If you are using the cartridges or pens, use a new needle each time. Learn how to discard needles and medical supplies safely. Consult your pharmacist for more information. SIDE EFFECTS: See also the How to Use section. Pain, redness, swelling or itching at the injection site may occur. These effects usually go away after a few days or weeks. If any of these effects persist or worsen, notify your doctor or pharmacist promptly. Remember that your doctor has prescribed this medication because he or she has judged that the benefit to you is greater than the risk of side effects. Many people using this medication do not have serious side effects. Too much insulin can cause low blood sugar (hypoglycemia). This effect may also occur if you do not consume enough calories. The symptoms include chills, cold sweats, blurred vision, dizziness, drowsiness, shaking, fast heartbeat, weakness, headache, fainting, tingling of the hands/feet, or hunger. It is a good habit to carry glucose (sugar) tablets or gel to treat low blood sugar. If you don't have these reliable forms of glucose, raise your blood sugar quickly by eating a quick source of sugar such as table sugar, honey, candy, or drinking a glass of fruit juice or non-diet soda. Tell your doctor immediately about the reaction. To help prevent low blood sugar, eat meals on a regular schedule and do not skip meals. Too little insulin can cause high blood sugar (hyperglycemia). Symptoms of high blood sugar include thirst, increased urination, confusion, drowsiness, flushing, rapid breathing, or fruity breath odor. If these symptoms occur, tell your doctor immediately. Your treatment plan may need to be changed. This medication may cause low potassium levels in the blood (hypokalemia). Tell your doctor immediately if any of these unlikely but serious side effects occur: muscle cramps, weakness, irregular heartbeat. A very serious allergic reaction to this drug is rare. However, seek immediate medical attention if you notice any of the following signs of a serious allergic reaction: rash, itching/swelling (especially of the face/tongue/throat), severe dizziness, trouble breathing. This is not a complete list of possible side effects. If you notice other effects not listed above, contact your doctor or pharmacist. In the US - Call your doctor for medical advice about side effects. You may report side effects to FDA at 1-800-FDA-1088. In Canada - Call your doctor for medical advice about side effects. You may report side effects to Health Canada at 1-866-234-2345. PRECAUTIONS: Before taking this medication, tell your doctor or pharmacist if you are allergic to it; or to other insulins; or if you have any other allergies. This product may contain inactive ingredients, which can cause allergic reactions or other problems. Talk to your pharmacist for more details. Before using this medication, tell your doctor or pharmacist your medical history, especially of: kidney disease, liver disease. Use only the insulin product that your doctor has prescribed for you. Do not change the insulin you use unless your doctor has given you instructions on how to do so. Follow your doctor's instructions carefully. Following a change in insulin, you may need a dosage change. Know the symptoms of low blood sugar and high blood sugar (see Side Effects section). Tell your doctor immediately if you experience symptoms of high or low blood sugar. Do not use this medication when you have low blood sugar. You may experience blurred vision, dizziness, or drowsiness due to extremely low or high blood sugar levels. Do not drive, use machinery, or do any activity that requires alertness or clear vision until you are sure you can perform such activities safely. Limit alcohol while taking this medication because it can increase the risk of developing low blood sugar. During times of stress, such as fever, infection, injury, or surgery, it may be more difficult to control your blood sugar. Consult your doctor because a change in your treatment plan may be required. Changes in your lifestyle or activity level may affect the amount of insulin your body needs to control blood sugar levels. If you notice an unusual change in your insulin needs, tell your doctor. Check your blood sugar before and after exercise. You may need a snack before exercising. If traveling across more than two time zones, ask your doctor about how to adjust your insulin schedule. Tell your doctor if you are pregnant before using this medication. If you are planning pregnancy, discuss a plan for managing your blood sugars with your doctor before you become pregnant. Your doctor may switch the type of insulin you use during pregnancy. Consult your doctor for more details. It is not known whether this drug passes into breast milk. Consult your doctor before breast-feeding. Your insulin needs may change while breast-feeding. DRUG INTERACTIONS: Drug interactions may change how your medications work or increase your risk for serious side effects. This document does not contain all possible drug interactions. Keep a list of all the products you use (including prescription/nonprescription drugs and herbal products) and share it with your doctor and pharmacist. Do not start, stop, or change the dosage of any medicines without your doctor's approval. A product that may interact with this drug is: rosiglitazone. Many drugs can affect your blood sugar levels, making it more difficult to control your blood sugar. Before you start, stop, or change any medication, talk with your doctor or pharmacist about how the medication may affect your blood sugar. Check your blood sugar levels regularly as directed by your doctor. Tell your doctor about the results and of any symptoms of high or low blood sugar. (See also Side Effects section.) Your doctor may need to adjust your anti-diabetic medication, exercise program, or diet. Effects section.) Your doctor may need to adjust your diabetes medication, exercise program, or diet. Beta-blocker medications (such as metoprolol, propranolol, glaucoma eye drops such as timolol) may prevent the fast/pounding heartbeat you would usually feel when your blood sugar level falls too low (hypoglycemia). Other symptoms of low blood sugar such as dizziness, hunger, or sweating are unaffected by these drugs. Check the labels on all your medicines (such as cough-and-cold products) carefully. Some products may contain sugar or alcohol and may affect your blood sugar levels. Ask your doctor or pharmacist about using these products safely. Other medications can affect the results of urine tests for sugar or ketones. Consult your doctor or pharmacist for more information. OVERDOSE: If overdose is suspected, contact your local poison control center or emergency room immediately. US residents can call the US National Poison Hotline at 1-800-222-1222. Canada residents can call a provincial poison control center. Symptoms of overdose may include: very fast heartbeat, vision changes, unexplained heavy sweating, agitation, fainting, seizures. NOTES: Do not share this medication, needles, or syringes with others. Attend a diabetes education program to learn more about diabetes and the important aspects of its treatment, including medications, diet, exercise, and getting regular eye/foot/medical exams. Learn the symptoms of high and low blood sugar and how to treat low blood sugar. Check your blood sugar levels regularly as directed. Keep all medical appointments. Laboratory and/or medical tests (such as fasting blood glucose, hemoglobin A1c) should be performed periodically to check for side effects and monitor your response to treatment. Wear or carry identification stating that you have diabetes and are using this drug. MISSED DOSE: It is very important to follow your insulin regimen exactly. Do not miss any doses of insulin. Keep extra supplies of insulin and an extra syringe and needle on hand. Discuss specific instructions with your doctor now in case you miss a dose of insulin or a meal in the future. STORAGE: See also the How to Use section. Store all unopened insulin containers in the refrigerator between 36-46 degrees F (2-8 degrees C). Do not freeze, and do not use insulin that has been frozen. If you are using the vials, store open vials in the refrigerator or at room temperature below 86 degrees F (30 degrees C) away from direct heat and light. Store in the carton to protect from light. Do not refrigerate cartridges or pens that are currently in use. Discard cartridges and vials in use after 28 days, and pens in use after 10 days, even if there is insulin left. Do not store in the bathroom. Keep all medicines away from children and pets. Do not flush medications down the toilet or pour them into a drain unless instructed to do so. Properly discard this product when it is expired or no longer needed. Consult your pharmacist or local waste disposal company for more details about how to safely discard your product.